Six people have died in an outbreak of H1N1 influenza largely hitting Myanmar's biggest city, Yangon, a health official said on Thursday. A man wears a mask to protect himself from H1N1 in Yangon, Myanmar July 25, 2017. 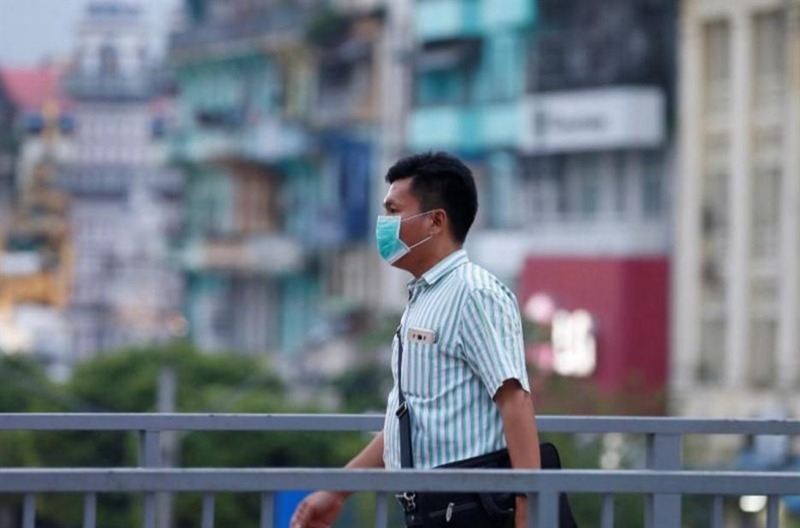 Six people have died in an outbreak of H1N1 influenza largely hitting Myanmar's biggest city, Yangon, a health official said on Thursday, amid government efforts to track the spread of the virus known as swine flu. Two 5-year-old girls died on Tuesday at a children's hospital in Yangon, said Thinzar Aung, deputy director of the infectious diseases department at the Ministry of Health and Sport. A pregnant woman and another man died on Monday after contracting the virus, also in Yangon. "We cannot say that government needs to control the spread of the virus because it is not at the level to control," said Thinzar Aung. Myanmar's health system suffered from low levels of funding under consecutive military governments that prioritised defence spending. The health ministry has called on hospitals and clinics - as well as private health facilities - to report any patients showing signs of influenza-like illness. Stephan Paul Jost, Myanmar representative for the World Health Organization, told Reuters he was "generally impressed" by Myanmar's initial response. "Clearly people are alert and referral to a hospital in the local area would be fairly quick" under the government's surveillance system, he said.